It all starts with a dream.. This year’s liberty training clinic will run from the 30th of November till the 4th of December and we hope to see YOU! In this exciting 3+2 day clinic, Stina and Marina will teach you to work with horses at liberty inspired by herd behavior. 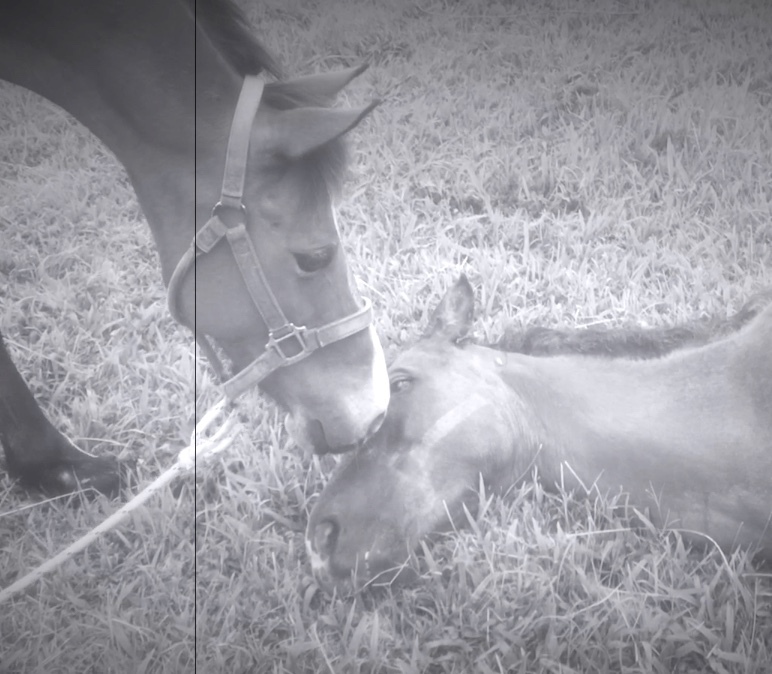 You learn the way that horses interact with each other to maintains cooperative relationships, safety and survival. Through the waterhole rituals the horses become willing participants. The first three days we learn liberty work through the waterhole rituals and the next two days you choose your own topic such as hiking, riding, being with the herd or diving. We have 6 places in this clinic and it cost US$ 1190,- (incl. food and accommodation). Looking forward to hear from you – just write to me at stina@richmondvale.org if you have any questions or like to join! Welcome to St. Vincent and the Grenadines. St. Vincent and the Grenadines is a small island nation in the Eastern Caribbean. Our population is 110,000 and our main income is derived from tourism, farming and fishing. We are located at the end of the road on the main island of St. Vincent surrounded by an incredible beautiful environment, overlooking the Caribbean Sea, the La Soufriere volcano and the rainforest. “Sahaja” means “natural, simple, spontaneous and easy in Sanskrit, one of the 22 listed languages in India. ”Sahaja” also means “born with.” You can learn to speak with horses; it is in fact very easy, you know it already, you were born with this ability. All you need to do is to remember. Get to know Stina’s magical herd of former wild horses. The possibility to learn to work with a young stallion – Kadoo. Learn to connect with horses at liberty. Energetic principles, body language, tracking the rhythms of the horse, are all part of understanding how to come into relationship with a horse on a deeper level. 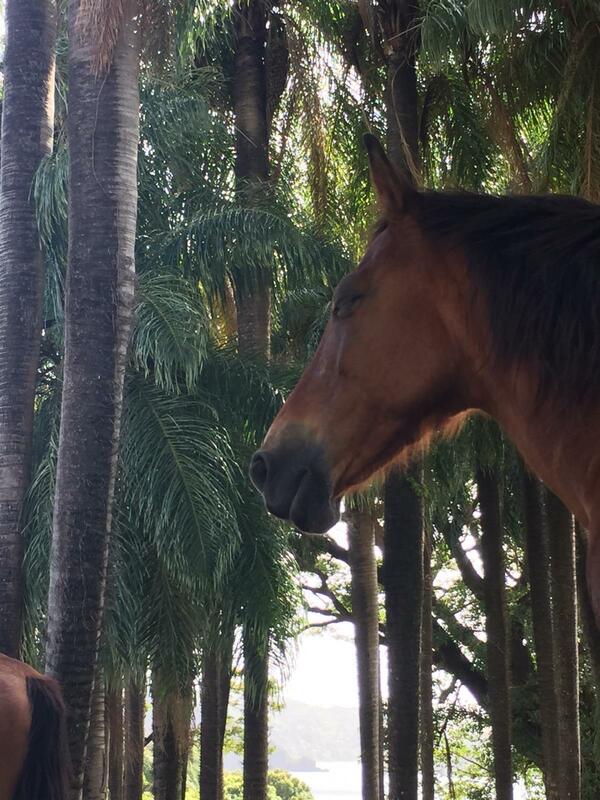 Enjoy a quiet trail ride, visits to the beach and the river with the horses. Enjoy delicious & healthy meals plus lots of available fruits of the season throughout the day. 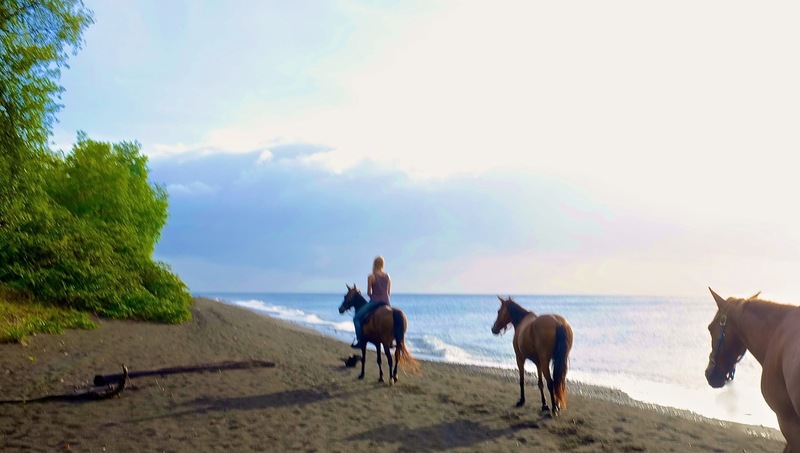 Relax in the evenings under the stars on the terrace or in the field with the horses in view of the La Soufriere Volcano the ocean & the rainforest. Meet new, like-minded friends and create memories that last a lifetime. Caribbean Airlines flies directly from JFK, New York, Air Canada Rouge flies directly from Toronto and American Airlines from Miami directly to St. Vincent Argyle International Airport (The Airport code is SVD). British Airways and Virgin Atlantic fly from London Gatwick to Barbados. Condor flies from Frankfurt to Barbados. From Barbados fly http://www.liat.com to St. Vincent. Location: St. Vincent and the Grenadines, Eastern Caribbean. Zarna, thank you so much and hope to see you here one day! Hi Stina! I am Rosanna from Chile and I just learned about your Sahaja clinic. Is it full already or do you have room in there yet? I will love to attend it. May you please send me more information and details? Thank you so much for connecting. I would love to have you here. Let me know if you received my email.